London. : Seeley Service & Co Ltd.
220 x 140 mm (9 x 6 inches) - 284pp + adverts. G : in Good condition without dust jacket. Cover rubbed and marked. Spine faded. Eps foxed. 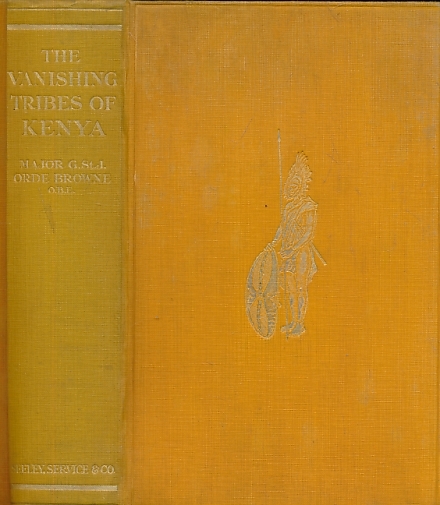 'A description of the manners & customs of the primitive & interesting tribes dwelling on the vast southern slopes of Mount Kenya, & their fast disappearing native methods of life'.